Wait. 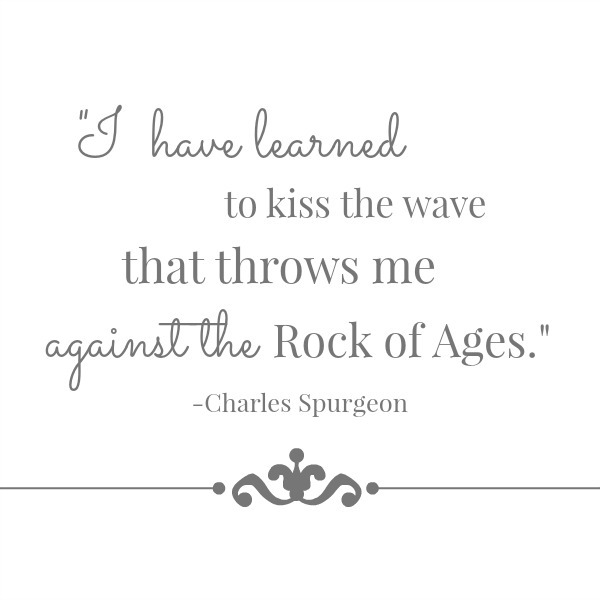 It is the theme God emphatically presses on my heart these days. I’m at a place of unknowns, obstacles, and blocked paths. There’s nothing I can do. My hands are tied, and I feel like this has been the trend for a long time. Now, I admit that I don’t always wait well. For some folks, taking a step into the unknown is challenging, but for me it’s when I can’t take a step forward that makes me crazy. I’d much rather be able to step boldly into God’s plans, than be stuck on pause. I’d rather be able to take risks, than be stopped in my tracks. Because I can’t see what God is doing, sometimes fear of the future creeps in. When wait is the theme, sometimes I gravitate to worry and anxiety. Sometimes waiting seems purposeless. I’m not always sure what I’m supposed to learn. I guess I want to distill the lesson to a succinct sentence and move on. But perhaps that’s the point. Sanctification takes time; transformation isn’t always instantaneous. Sanctification, on the other hand, is the aspect of the gospel in which God is transforming me to be what He already declared. I am being saved. It is lifelong. God initiated it, He’s passionately committed to it, and He will complete it. (Philippians 1:6, I Thessalonians 5:23) Sanctification is also corporate; God is sanctifying His church, creating a people for Himself. Then there’s glorification. I will be never ending new. One day, I’ll be removed from even the presence of sin, perfected, with Christ forever. I will be saved. So, for the girl who hates to wait, wouldn’t it be nice to skip over sanctification completely? I mean, let’s get straight to glorification, baby! Sanctification, then, is a necessary and beautiful thing. God is committed to my holiness because He’s committed to drawing me closer to Himself. Keeping this perspective teaches me to embrace the waiting, and reminds me that waiting teaches me to trust, to rest, to relinquish control of my faulty plans, and to surrender my desires to Him. I’ll admit, perspective doesn’t alway make it easier. I often fail. Yet because Jesus fully surrendered to the will of His Father, set aside His own glory for a time, and waited perfectly for it to be restored to Him, I can wait. The gospel of Jesus empowers me to do what He commands me to do. 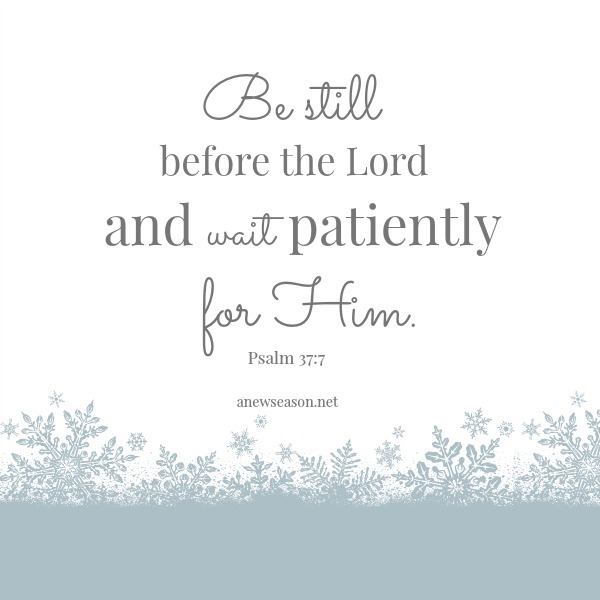 Therefore, when waiting is the pervasive theme, I’m learning to praise God for it. I recall that waiting is one agent of transformation. He heals all my diseases; Jesus took my spiritual leprosy, saving me from the all consuming nature of sin. He redeemed me from the pit. He removed my blindness and made my ears to hear. He took away my paralysis. He lifted the weight of sin that crushed me. He raised me from death to life. He crowns me with steadfast love and mercy. He satisfies me with good. If God has done all this, then surely He is working through the waiting. Next > An oak of righteousness? Two years after death. Thank you for these very heart encouraging words. I feel these things deeply as well about waiting in regard to sanctification. I feel like I have been in a “wilderness” season the past year or so…not because of trials but rather because of discouragement in faith. Maybe these times when it seems God has forgotten me and is ever so quiet…maybe really it is his work of sanctification. You have given me courage to wait on. This is awesom @-Psalm 37:7.I have been asking a lot of questions on why God’s promises seem delayed, most especially now that l am fully ready to walk according to his devine plan for my life. Here comes the long awaited answer! Thanks for posting I’m richly blessed.